A grow named the Palmetto Grow, raided on Aug. 10, 2016, in Plumas National Forest, included more than 5,000 plants, and would be considered a relatively small grow. 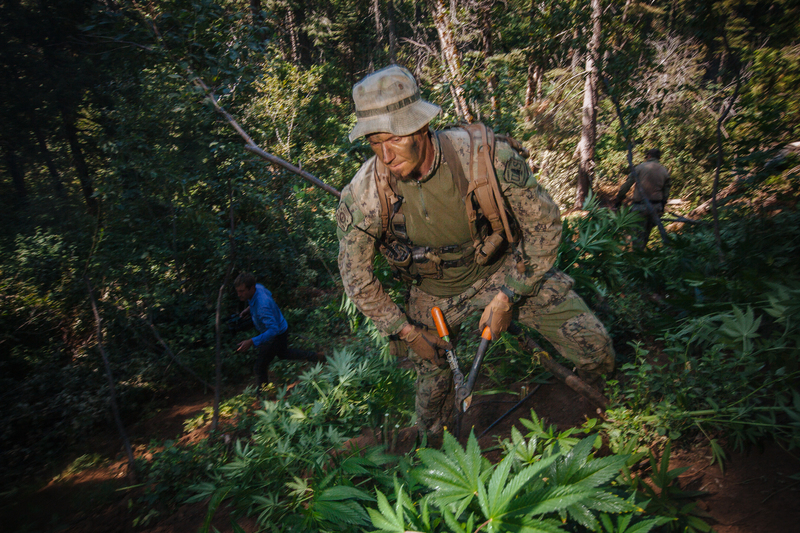 Officers move quickly through the plots cutting down the crop’s bounty. Since the plants have not yet gone to bud, the team will leave the plants to wither and dry in the sun.